Looking for a Casual Restaurant in Lafayette LA? There are many options…Seafood, Italian, Mexican, you know the same old things you have been eating for ages. Wanna try something new? Maybe a little intriguing? 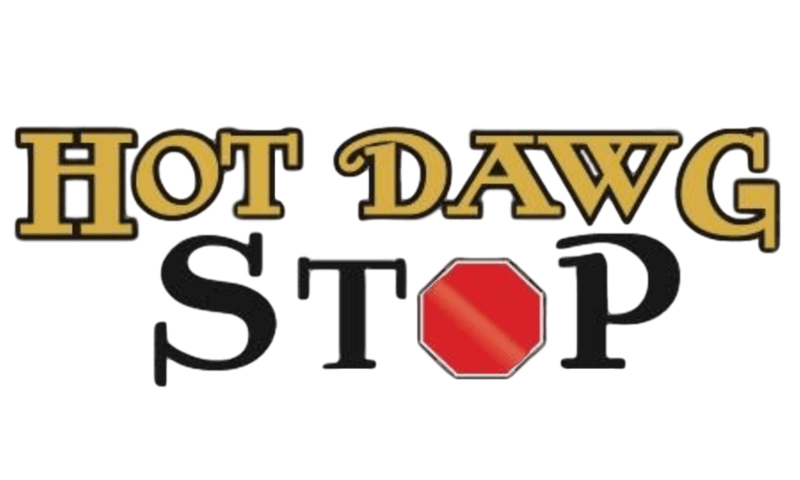 How about Hot Dawg Stop? 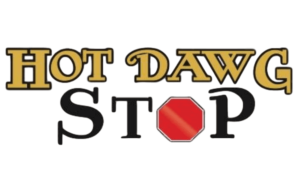 What is Hot Dawg Stop? 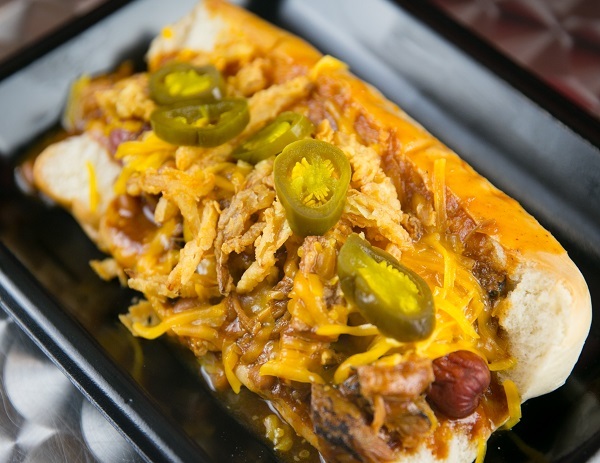 Well, very possibly the best hot dog you have ever put in your mouth. 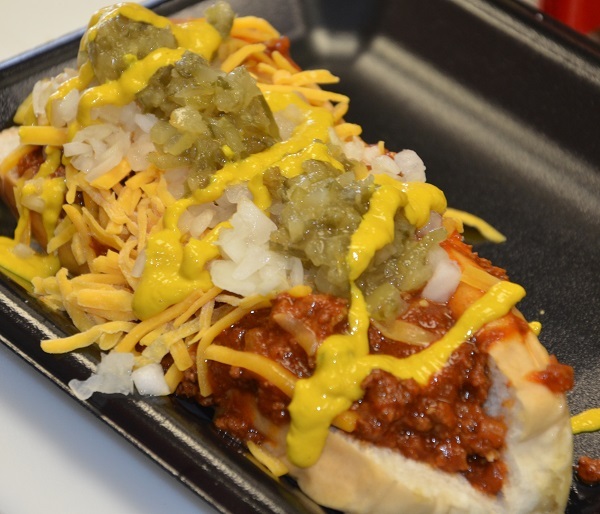 Hot Dawg Stop, a casual restaurant in Lafayette LA, is the result of the owners’ passion for good food, family, quality service and a sense of community. 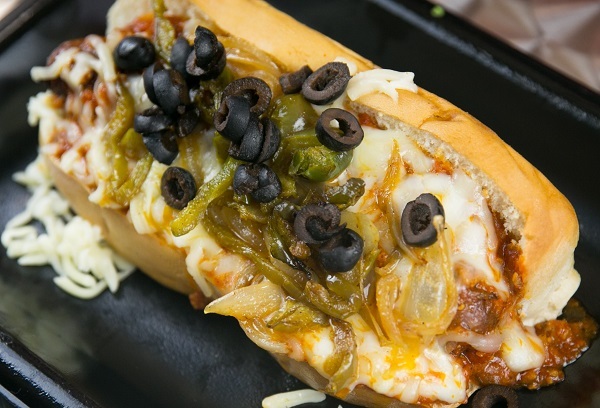 They have modernized the traditional Hot Dog and created masterpieces of deliciousness. 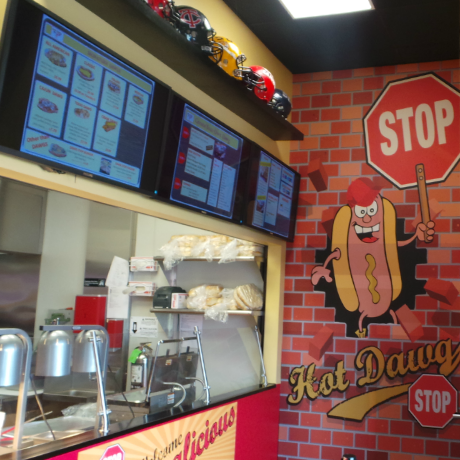 Imagine this…..You step into Hot Dawg Stop to see a casual, friendly Lafayette Restuarant with images of Local High Schools and the Home Town Ragin Cajuns Sports Teams. It’s lunchtime and your hungry, but don’t have much time. You have heard that this unique Restaurant in Lafayette LA is similar to a sub shop. You choose the bread, the protein, the condiments, blah, blah, blah. So you glance at the menu and see, Cajun Gator Dawg, Crawfish Dawg and even Texas BBQ on a Bun. Now I am even more intrigued, but wait they even have wraps, salads, turkey dawgs, chili and loaded fries? Oh, My…..What to get? What to get? Then the friendly staff member asks if I am gonna order or do I need more time. I now realize that they have a few people behind me waiting to order, so I step aside and let them go in front of me. 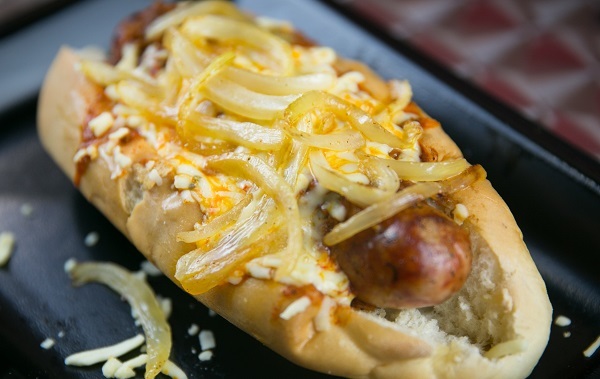 Let’s see….I never realized a restaurant in Lafayette LA had such a Cajun Twist on my All American Hot Dog. 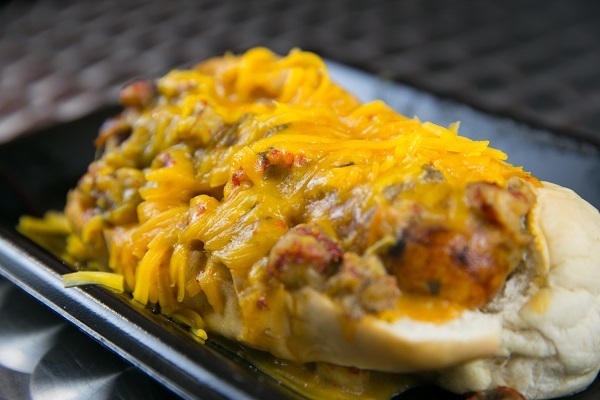 Crawfish Dawg has Crawfish Boudin, Crawfish Etouffee & Cheddar Cheese. 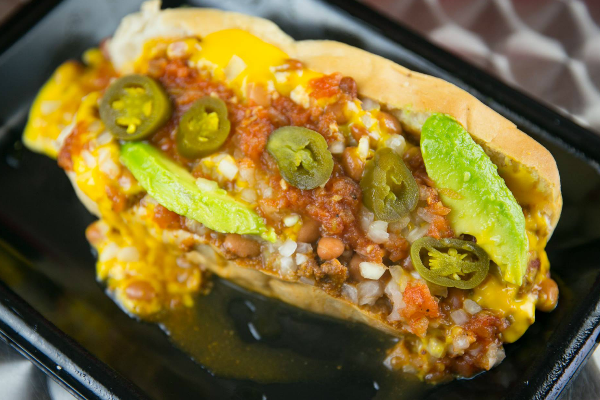 Mexican Fiesta Dawg has Angus Beef, Chili Con Queso, Salsa, OnionsJalapenosos & Avocados. Texas BBQ on a Bun has Bacon Wrapped Angus Beef, Pulled Pork with Baked Beans, Cheddar Cheese, Fried Onions, and Jalapenos. Decisions, Decisions! I settle on the Mexican Fiesta Dawg with Loaded Fries. 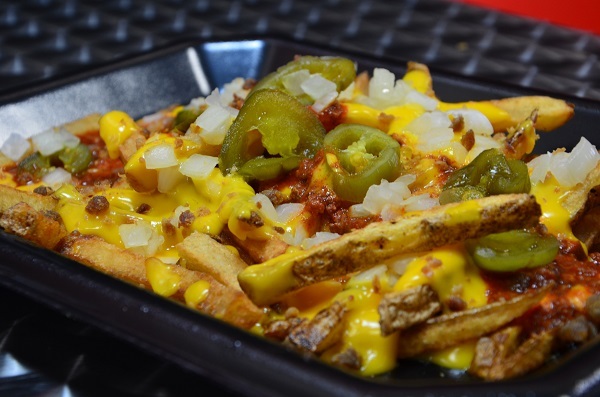 Yes Loaded Fries – House Cut Fries, Chili, Cheese and four toppings of my choice! And I’ll have a water….but wait, they sell Local Louisiana Abita Beer? Yeah give me one of those, just don’t tell my boss being its lunchtime. I must say, deciding on what to eat at this Local Restaurant in Lafayette LA takes more time than eating the delicious DAWGS! 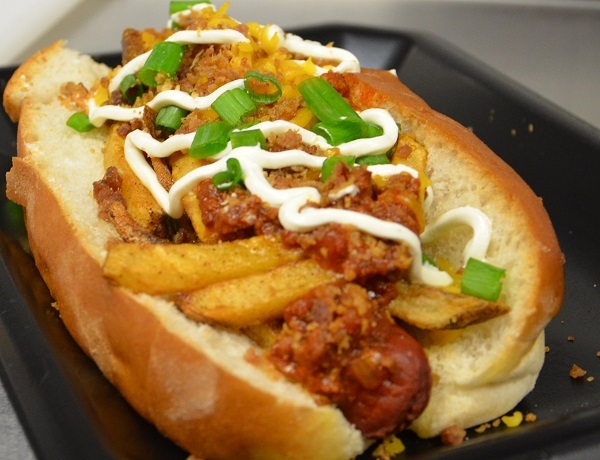 As I took my last piece of bun and dipped it into the loaded fries to make sure I gobbled every morsel of Cajun Deliciousness, I thought never will I eat and ordinary Hot Dog again. What have I been spending time at other restaurants in Lafayette LA when Hot Dawg Stop has been here for a few years now. No more searching for a hamburger in Lafayette LA, no more Mexican restaurant in Lafayette LA, no more Italian restaurant in Lafayette LA, no more Chinese restaurant in Lafayette LA, not when I can have a Cajun Twist on an American Tradition that everyone love at Hot Dawg Stop, THE HOT DOG RESTAURANT IN LAFAYETTE LA! Don’t have time to get away from the office for lunch? Too cold or rainy to get out the house for supper? Contact Waitr and get it delivered. Waitr is a food delivery service in Lafayette LA and surrounding areas. 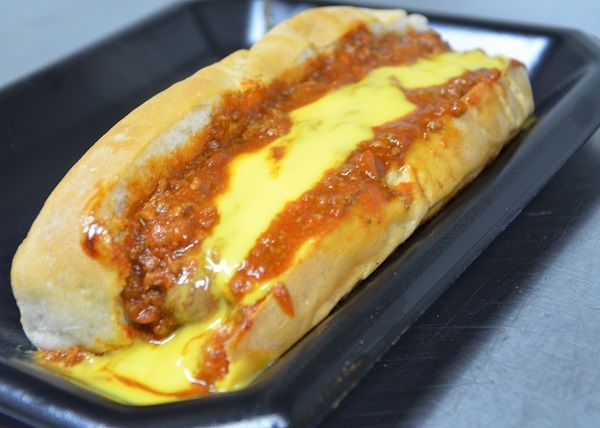 Hot Dawg Stop is located at 2201-1B Kaliste Saloom Road, Lafayette, Louisiana (at the corner of Kaliste Saloom & Martial Avenue). 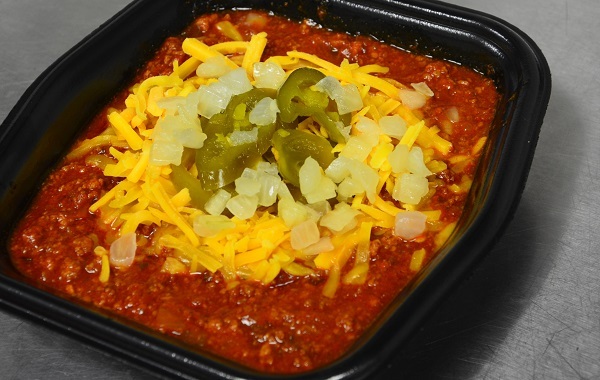 You can give them a call and order for convenient pickup at (337) 456-8844.